Hostels in Montenegro are great places to find not only a cheap bed for the night, but people to hang out and explore Montenegro with. If you’ve ever stayed in hostels, you’ll know that they’re usually where the party’s at – or they know where to find the best parties and the cheapest drinks! They’re also a fount of information for budget and young travellers. 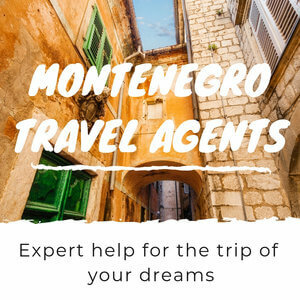 You’ll be able to join cheap, group tours, find the best bus route to your next destination, find out who does the best pizza slices in town and share your travel experiences over a few pivos (beers – one of the first words you’ll learn in Montenegro!). 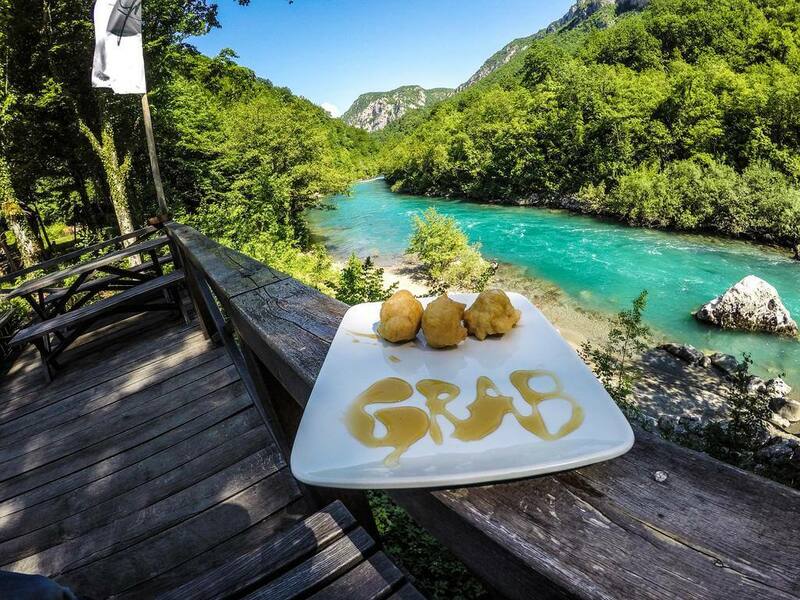 Montenegrin hospitality is second to none and you'll experience that warmth in hostels here too. Rather than a faceless business, hostels in Montenegro are mostly run by an owner or family. 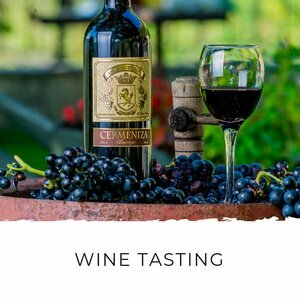 You'll likely be welcomed as an honoured guest, with offers of coffee, sweets and food. If there's a woman in the house, expect a bit of mothering! 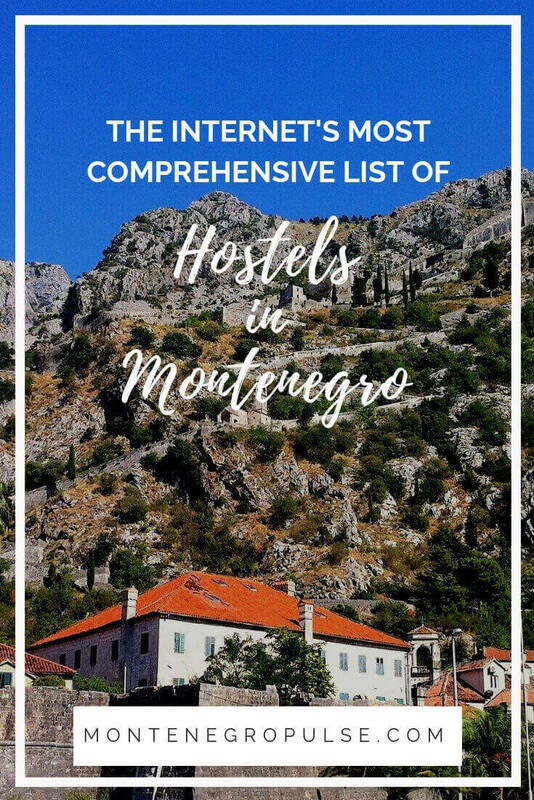 I’ve put together this comprehensive list of hostels in Montenegro. 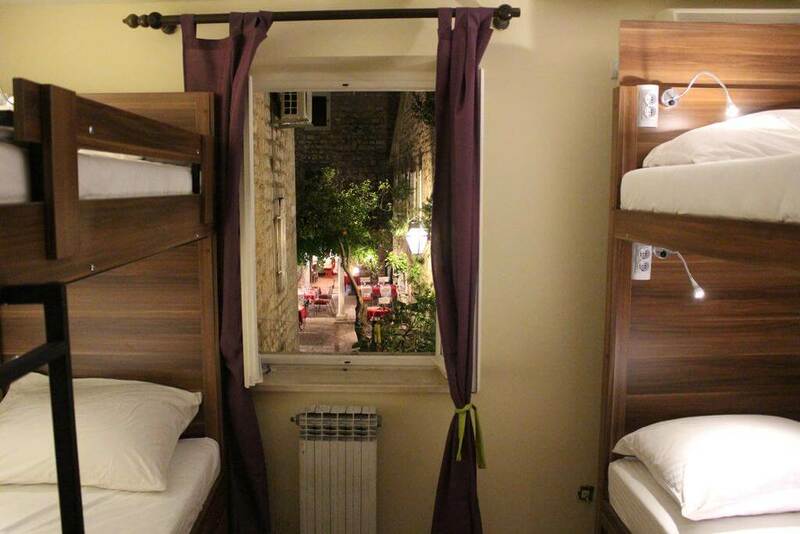 I’ve left out any places that don’t meet the criteria for a real hostel ie. they don’t have dorm rooms, common areas, shared kitchen etc so there’s no risk of you booking a place thinking that you’ll get the hostel experience, only to find yourself in what is, essentially, a guest house with private rooms. 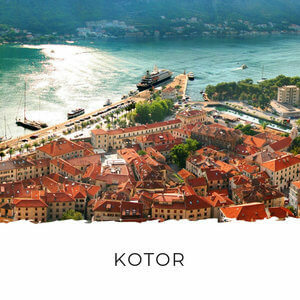 Kotor is the top destination for backpackers in Montenegro. And thanks to a great range of hostels, staying there is really affordable. 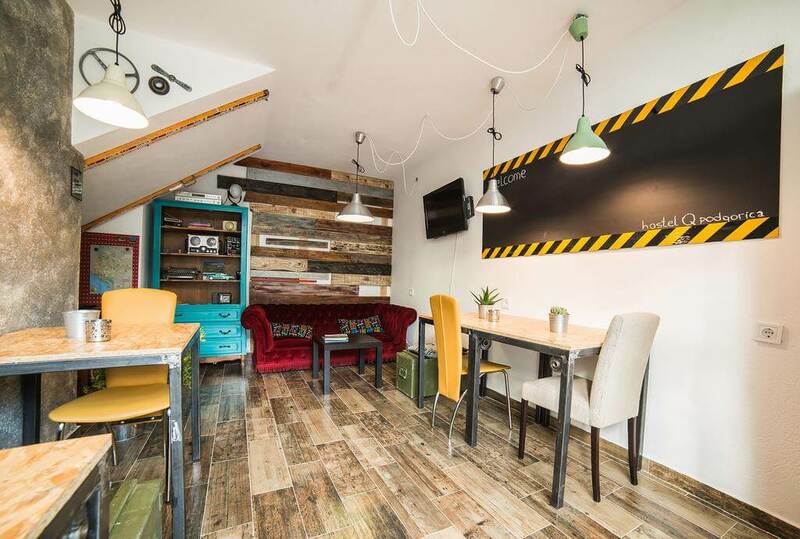 Choose a hostel in the old town for a lively atmosphere and proximity to the bus station. Or a seaside hostel with parking for a quieter stay. Old Town Youth Hostel in Kotor is one of the top-ranked hostels in Kotor. 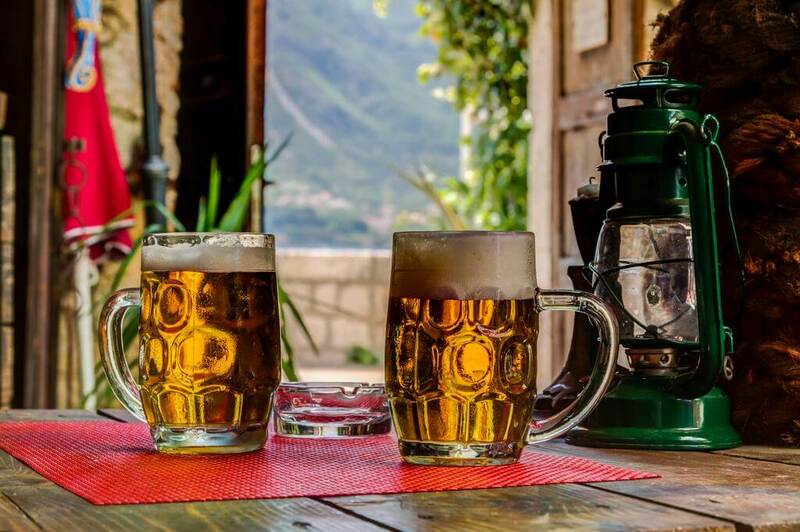 Based inside Kotor’s beautiful, Venetian old town, they organise pub crawls and have affordable group tours around Montenegro. 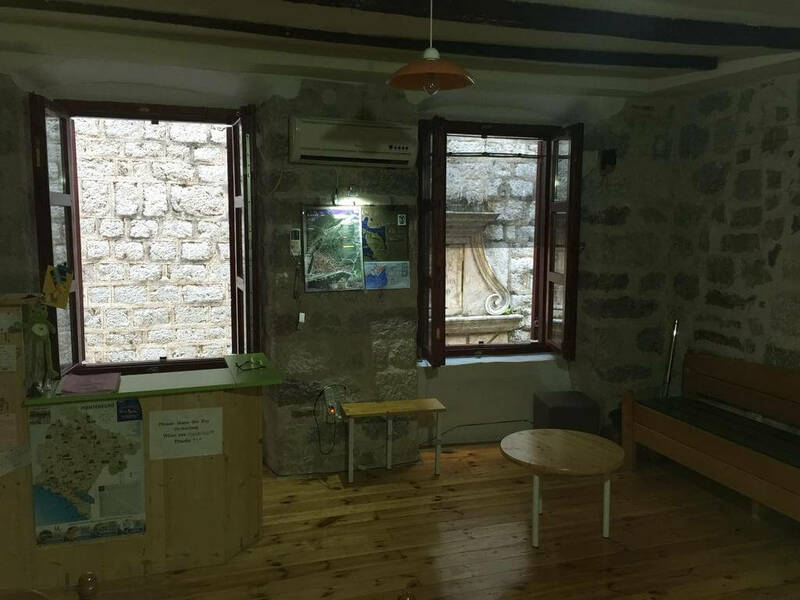 Montenegro Hostel B&B Kotor is also inside Kotor’s impregnable walls, but it offers a quieter place to stay. They don’t organise parties, so you can spend your days on their organised tours and know that people won’t be partying in the common areas late at night. Kotor Korea Guest House is a small hostel with just six beds, so it’s perfect if you’re looking for somewhere small and quiet in the old town. Their ground-floor café also makes the best coffee in Kotor according to our resident coffee snob! 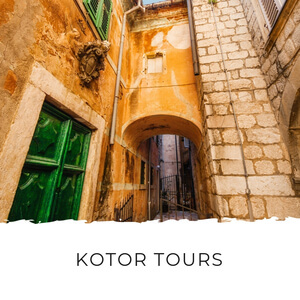 Hostel Cent is also in Kotor old town, making it a really convenient base for exploring Montenegro. The rooms can be cramped, with 10 beds to a room, but with an outdoor terrace there’s plenty of space to relax and hang out in the Montenegrin sun. 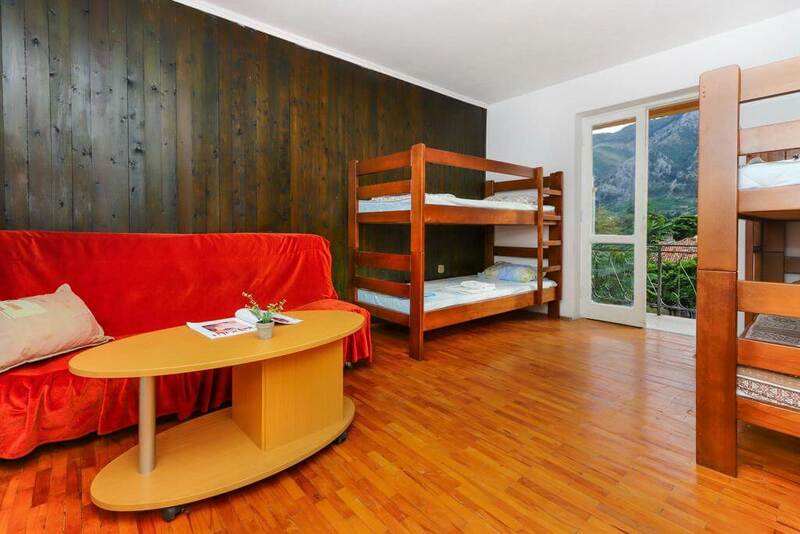 Montenegro Hostel 4U Party has spacious dorm rooms and beautiful private rooms on the seafront in Kotor. 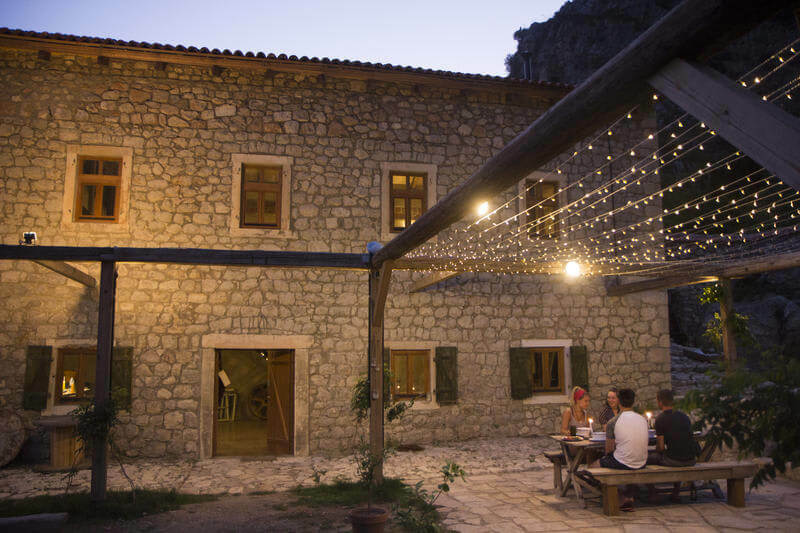 With a barbecue, bike and kayak hire and parties every night, this is a fantastic hostel in Kotor. 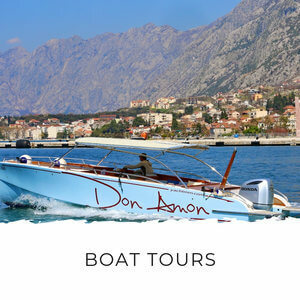 Based in Dobrota, 3.7km from Kotor old town, there’s no mistaking the nautical theme of the hostel, which channels the Bay of Kotor’s seafaring past. With the peaceful seafront location and outdoor terrace, Stranger Tides is the place to experience the true Bay of Kotor atmosphere. Hostel Pupa is perfectly located just a few minutes’ walk from Kotor old town. 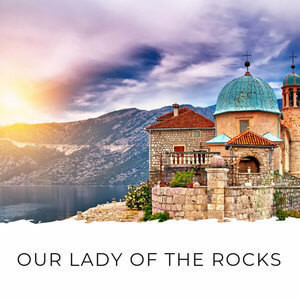 It lies on the Kotor waterfront, which means you get fantastic views of Kotor, especially when the fortress wall is lit up at night, and it’s quieter than being inside the town, which tends to have music and tourists day and night. Hostel Amigo is a homey hostel around 1.5km from Kotor. There’s free onsite parking, so if you’re coming by car you can easily park onsite and walk along the seaside into town. There’s also a barbecue so you can grab some čevapi (Balkan sausages) at the supermarket and barbecue them at the hostel. 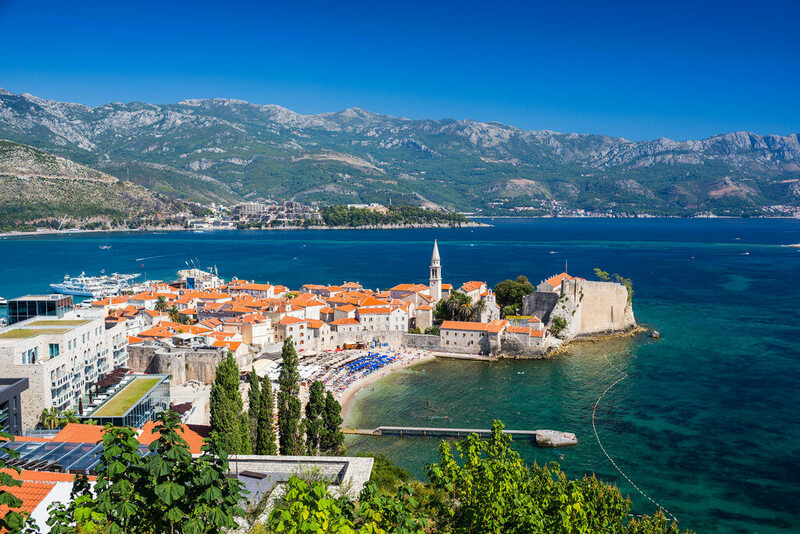 With its reputation as a party destination and its incredible beaches, it’s easy to see why Budva is a top destination for backpackers around Montenegro. 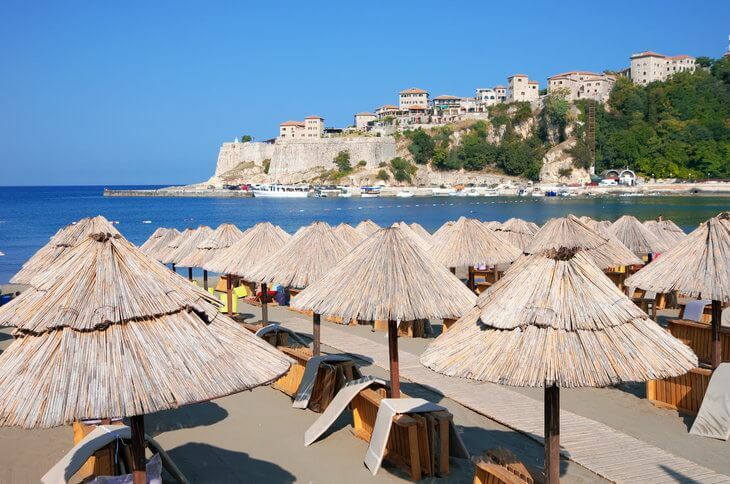 Spend your days soaking up the sun on the Budva Riviera and your nights partying in the old town. You have several hostel options in Budva. Choose a hostel in the old town for a more lively atmosphere, or a hostel out of town for peace and quiet and free parking. Budva old town is the perfect place to stay if you’re looking for a good time. And Freedom Hostel Budva offers that in spades. There are three beaches with a five minute walk and a cosy outdoor terrace to relax in. At night the party starts with rakija (lethally strong brandy) and goes from there! Freedom Hostel’s sister hostel, Freedom Hostel 2, is also in Budva old town. 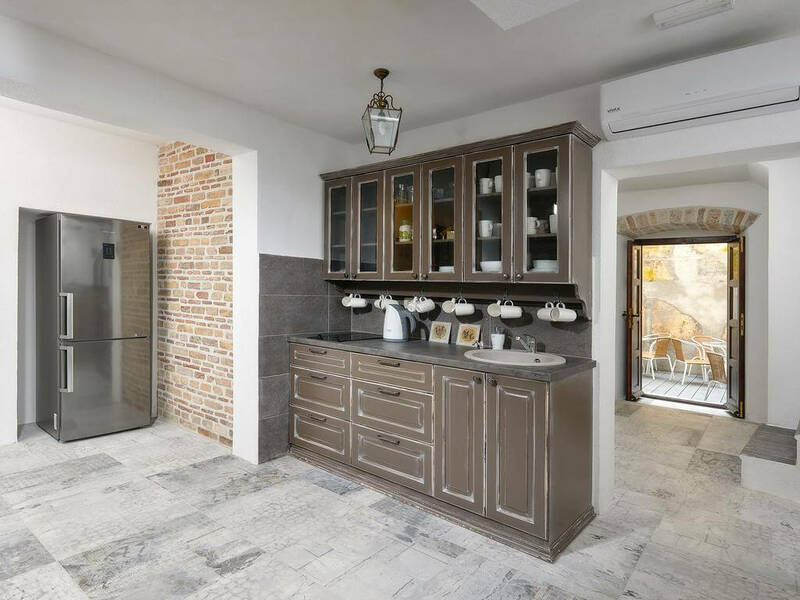 Its antique design channels Budva’s 2,500 year old history, and the spacious rooms and sunny terrace mean you have plenty of space to enjoy the old world atmosphere. 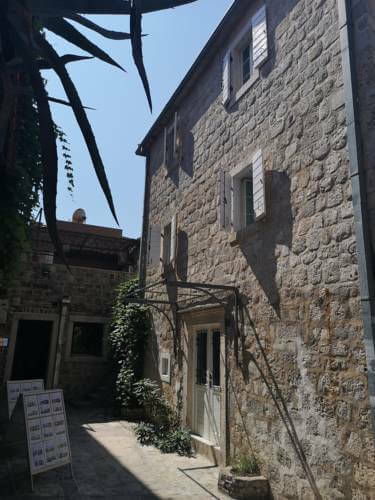 High Hostel is a great choice near Budva old town if you’re travelling by car. There’s free onsite parking and the views are incredible. 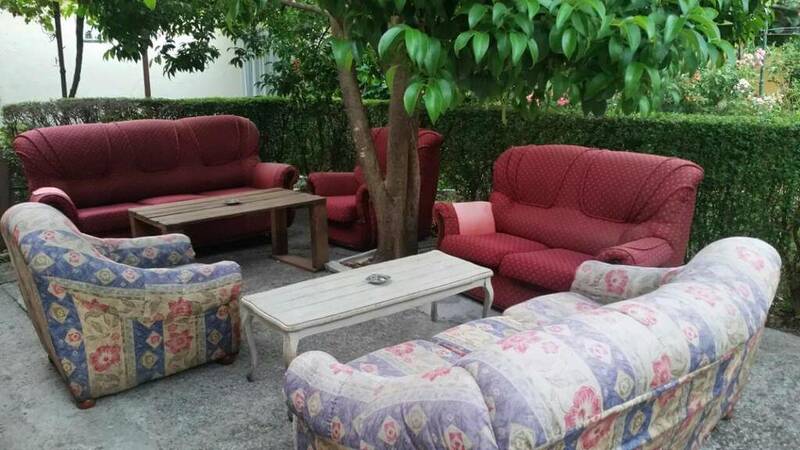 The hostel has heaps of space to hang out, whether indoors on beanbags or outdoors by the firepit. 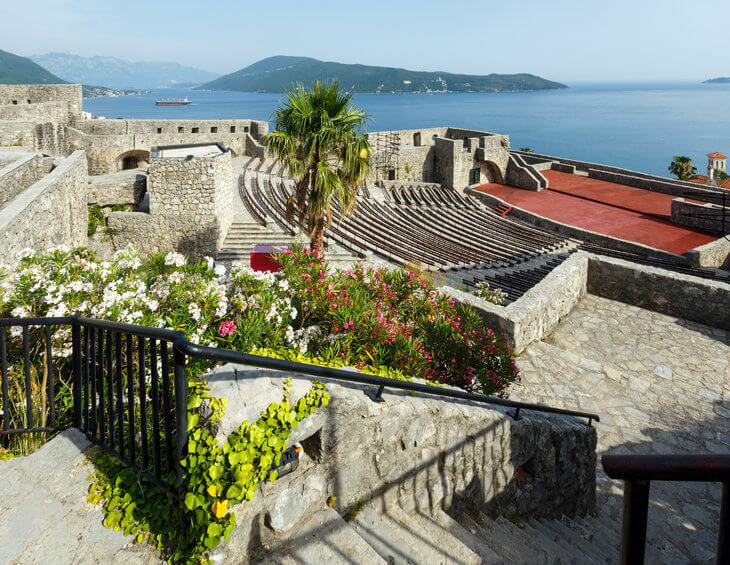 Start your day with yoga overlooking the Budva Riviera and then wander down to the old town and Mogren Beach below. Hostel Sveti Nikola is 2km from Budva and off the main Adriatic Highway along the coast, so it’s recommended only for people with a car. The hostel has a six bed dorm and is about 800m from Jaz, one of Budva’s popular beaches. 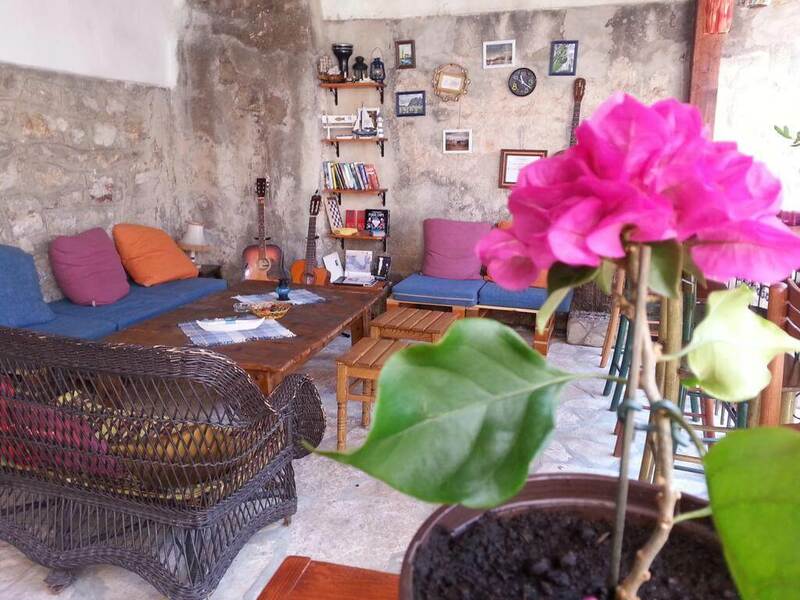 Hostel Michel is in a great location in Budva old town. Unfortunately, at the time of writing it has some pretty damning reviews, so exercise caution before booking this hostel. Tivat is a compact town that’s easy to get around on foot. 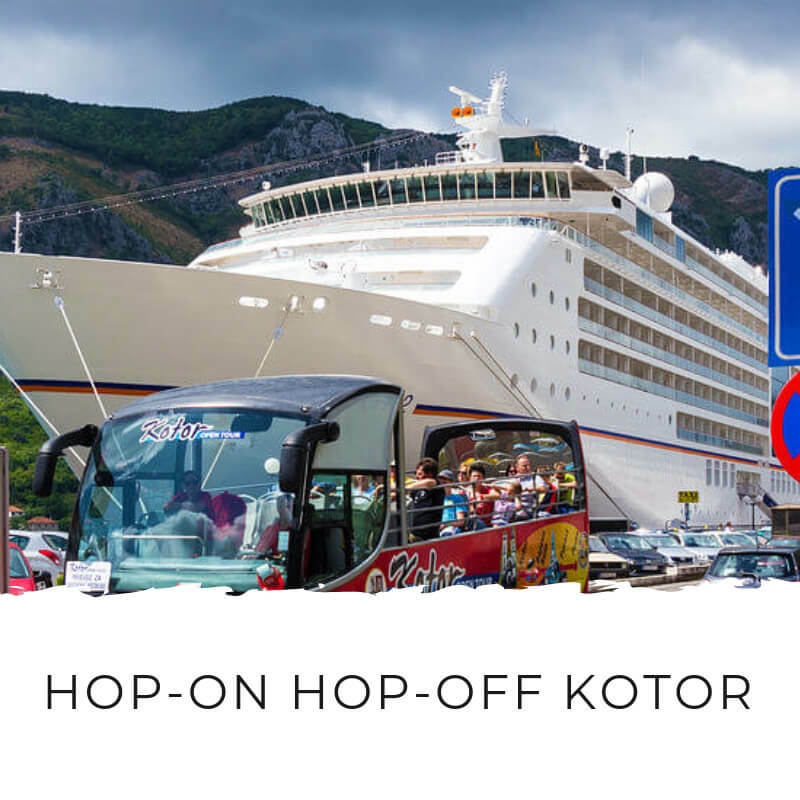 Although it lacks the historical attractions of Kotor and Budva, it’s got the luxury marina, Porto Montenegro, and a lively bar scene. There's one hostel in Tivat, but if it's full or you'd like to be closer to town, you'll also find other cheap options in Tivat. Especially if you have someone to share a room with. Hostel Anton is a funky hostel, a 15 minute walk from Tivat centre. 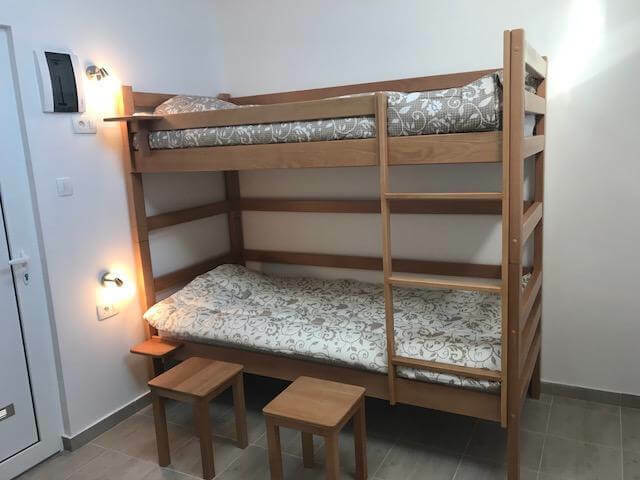 With no air-conditioning, it can get hot and noisy in summer, but it’s definitely the cheapest bed you’ll find in Tivat and they have a great social scene. Herceg Novi doesn’t have any hostels, but it’s an attractive place to stay because of its nice beaches and it’s only an hour from Dubrovnik. You can catch a morning or afternoon bus from Dubrovnik to Herceg Novi if you’re not driving. 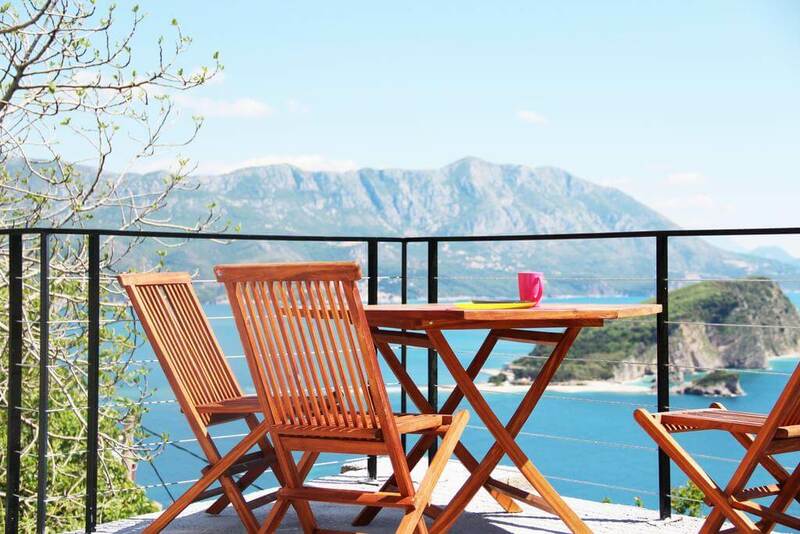 Although there’s no hostel here, you can still find cheap accommodation in Herceg Novi. 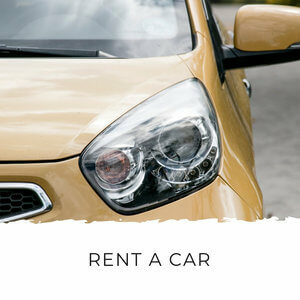 Just head over to Booking.com and filter the results by price. You can find private rooms that sleep two for as little as €12 a night. Like Herceg Novi, Perast doesn’t have any hostels, it’s more of a high-end destination. 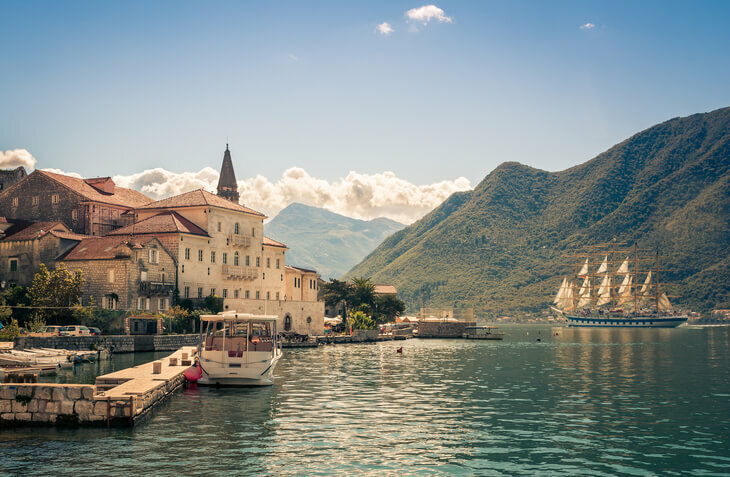 It also doesn’t have a supermarket (just a little store) or any nightlife, so most backpackers and young travellers prefer to stay in Kotor, 15 minutes away. If you want to stay in Perast, prices start from around €30 a night. Bar is a natural stopover if you’re arriving on the coast of Montenegro by train. There’s a twice-daily train from Belgrade (Serbia) that terminates in Bar. 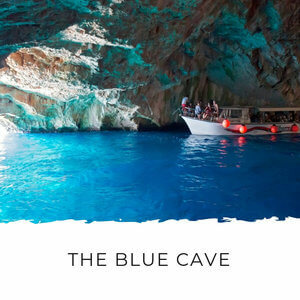 Bar’s main attraction is the old town and olive groves – one tree is reportedly the oldest in the world – but the hiking and off-the-beaten-track nature of the destination also pull travellers looking to explore beyond Montenegro’s tourist traps. There's just one hostel in Bar, but as you'll see it's a good 'un! The Grove is such a good hostel and so ‘Montenegro’ that I’d go as far as to say you should plan your travels around a stay here. The hostel is in a giant, converted olive mill and the conversion was crowdfunded into reality. 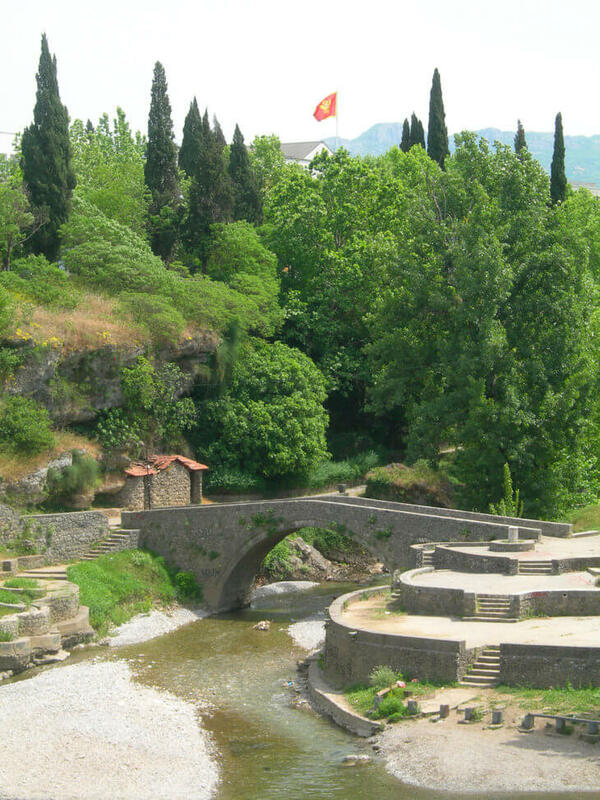 Not only is the building gorgeous, but it’s set among olive groves (naturally) and lies beside a rushing river which is topped by an Ottoman footbridge. The hostel has double beds, resident hens, walking trails, a secret beach, fire pit, tree house, plunge pool and mountain views. 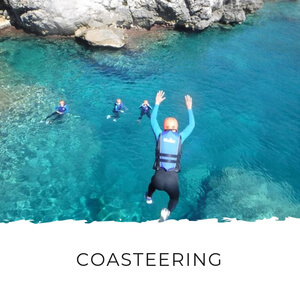 Ulcinj is yet to be discovered by the tourist masses, which is why it’s more popular with backpackers than any other group of travellers. The sandy beaches, kite surfing and rugged authenticity of Montenegro’s southern-most coastal town make it a boon for those looking intrepid travel experiences. There are two very different, but good, hostels in Ulcinj to choose from. 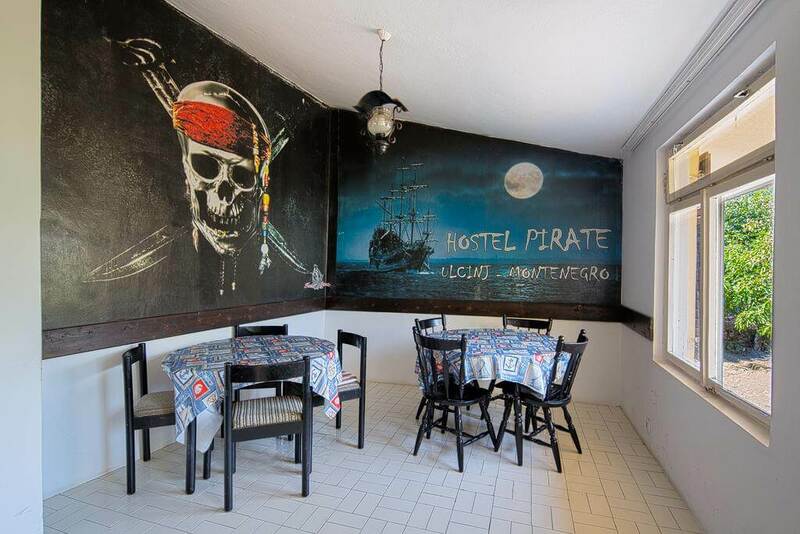 Hostel Pirate is a popular hostel walking distance from the beach in Ulcinj. Guests love the welcoming atmosphere and the hosts, which include the resident dog and cat - perfect if you’re missing your pets back home! To sweeten the deal there’s free beer and an incredible boat trip which takes you to hidden beaches and cliff diving spots! Hostel Center is one of those hostels where you’ll be welcomed and treated as a part of the family. People who stay here rave about how they were taken care of by the owners. It won’t suit everyone though because they ask guests to follow certain rules, like taking off their shoes inside. There’s a garden and restaurants and a supermarket nearby. The downside is it’s about 2km to Ulcinj old town and the beach, the cooking facilities are very basic and there’s no air-conditioning. Podgorica is the capital of Montenegro, but, with few attractions, it’s not a major tourist destination. 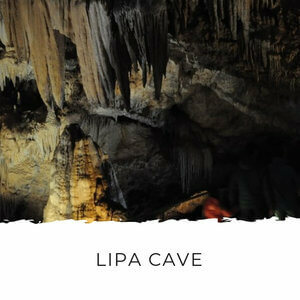 If you look below the surface however, there are plenty of things to see and do in Podgorica. 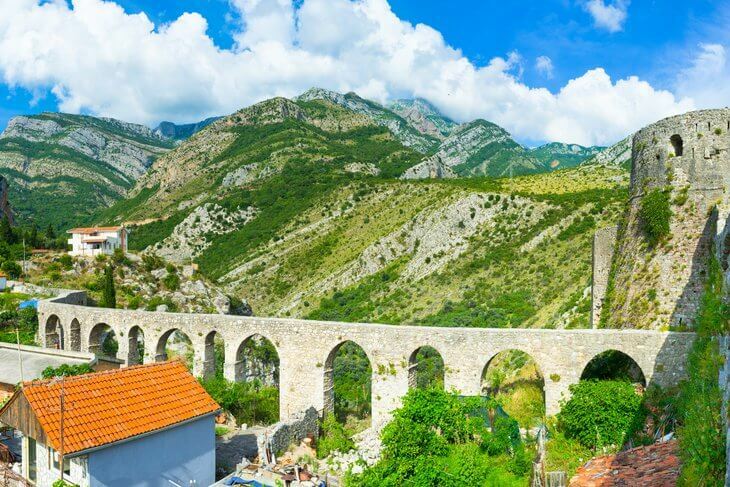 With lots of plane, bus and train connections, there are lots of hostels in Podgorica to choose from. 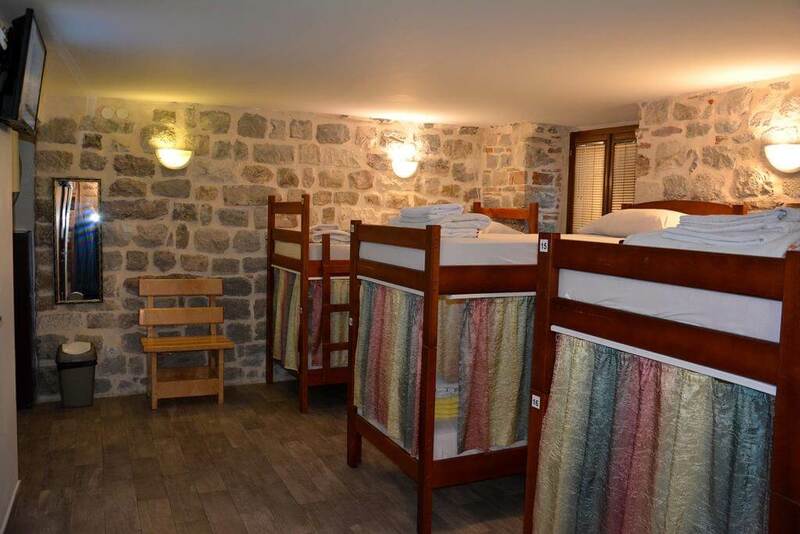 Hostel Q and Montenegro Hostel B&B Podgorica are the most popular and professional hostels in Podgorica and with beds starting from €8 a night, they're great value. There are some really cheap hostels for €5 a night, but you'll be sacrificing on both facilities and social life. 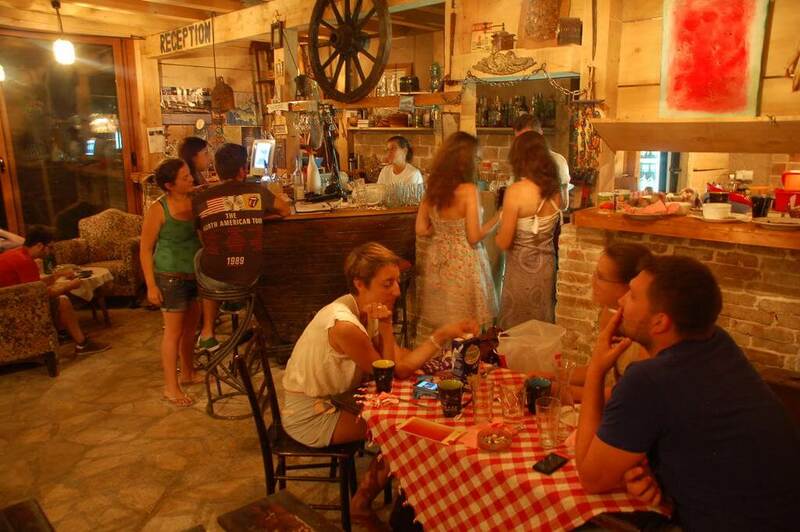 Hostel Q is a funky hostel on the outskirts of Podgorica. It’s not walking distance to the city centre, but taxis in Podgorica are so cheap that a taxi to town or the bus station only costs around €1.50. A stay here includes a free breakfast and there’s plenty of outdoor space to enjoy. Montenegro Hostel B&B Podgorica is part of a group of three hostels in Montenegro (along with hostels in Kotor and Budva). You’ll get a real hostel experience here; they offer daily tours and pub crawls, and the hostel is in the centre of town. Despite the central location, it’s got a big outdoor space with loungers, pool and table tennis. 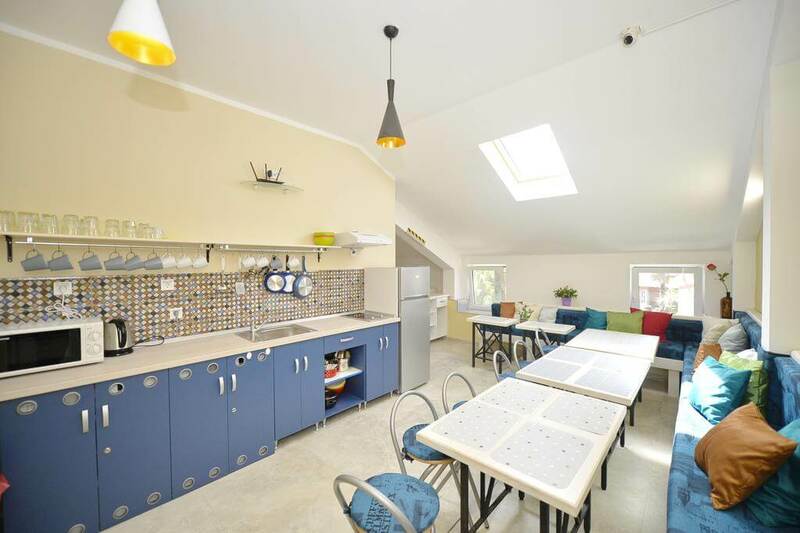 There’s also a rooftop deck with views over the town, and a fully-equipped kitchen and computers. 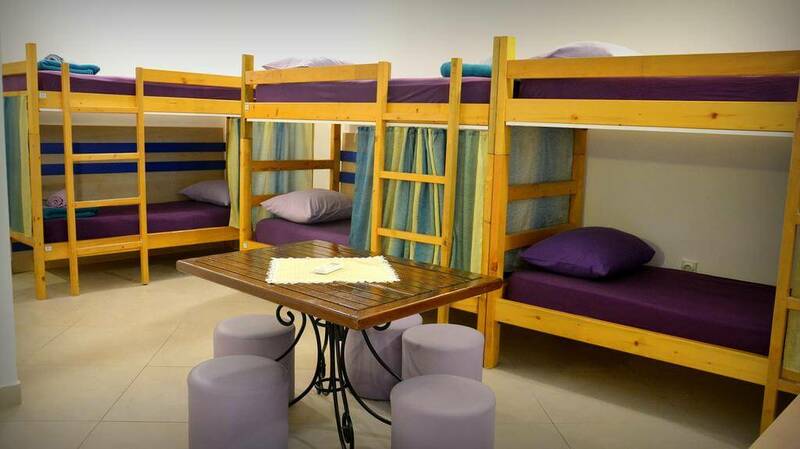 TravelBreak Beds & Rooms is a basic hostel, around 1km from central Podgorica. There, you’ll find Stara Varoš, Podgorica’s old town, and downtown Podgorica, where you’ll find lots of bars and clubs at night. 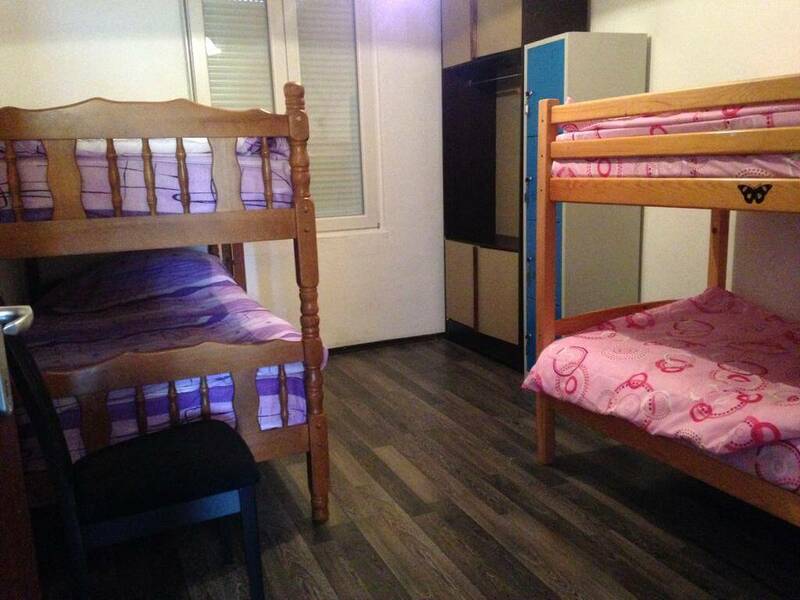 Rooms In has clean and tidy dorm and private rooms. It’s located by Podgorica’s biggest mall, Delta City and a new development called City Kvart, where you’ll find lots of trendy restaurants and cafes. The town centre is around 2km away, which will cost you €1-2 in a taxi. Hostel Podgorica is a basic hostel in the centre of Podgorica, so the bus and train stations as well as Podgorica’s sights are virtually on your doorstep. 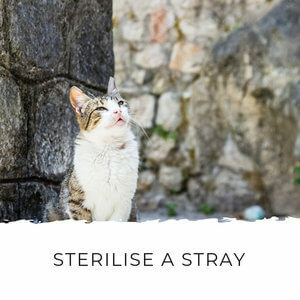 The hostel is home to two cats and dog, which some people dislike and some love! Hostel Nice Place has basic accommodation and furnishings, but it’s located in a residential area close to downtown Podgorica. When you stay here you get a good sense for how ordinary Montenegrins live. The owner of the hostel is very friendly and welcoming, and the courtyard allows you to meet and talk to the neighbours. It’s ideal if you enjoy mingling with the locals when you travel and are happy with basic accommodations. 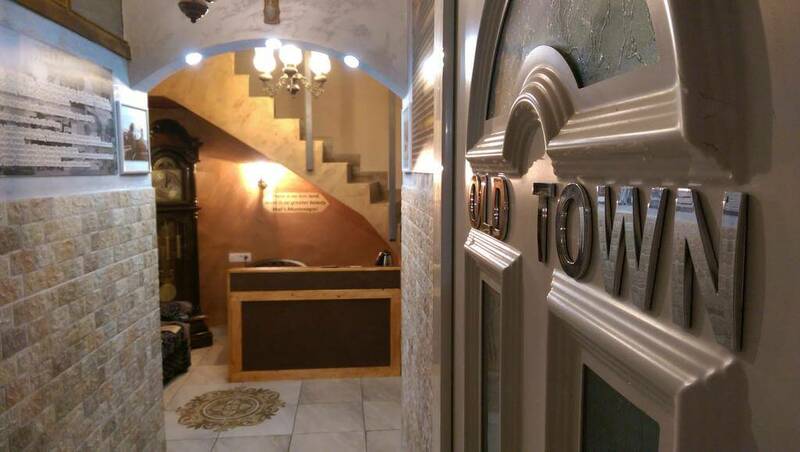 Hostel Old Town is one of those places that’s both a hostel and has more upmarket private rooms. 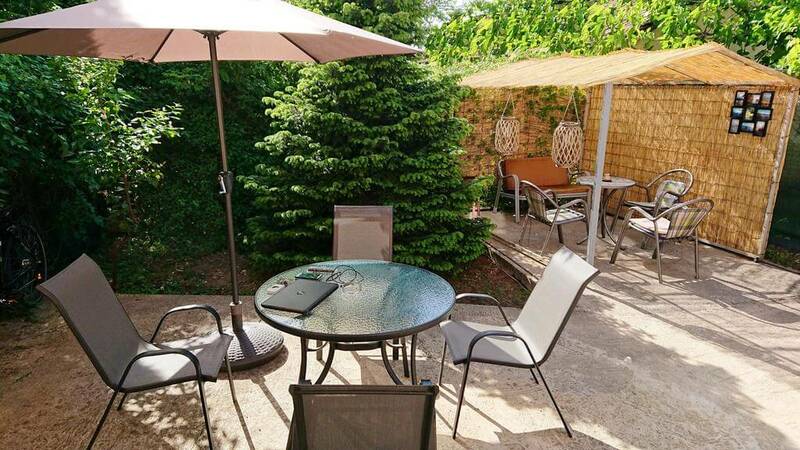 It’s almost ideally situated between the bus and train stations and the town centre. 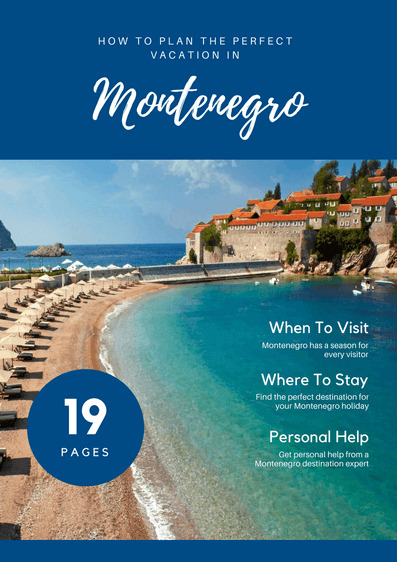 You’ll have a quiet stay here but won’t find as much socialising as in larger hotels, so it’s best for independent travellers who want to explore Montenegro on their own. Hostel Explorer has dorm rooms and private self-catering rooms. 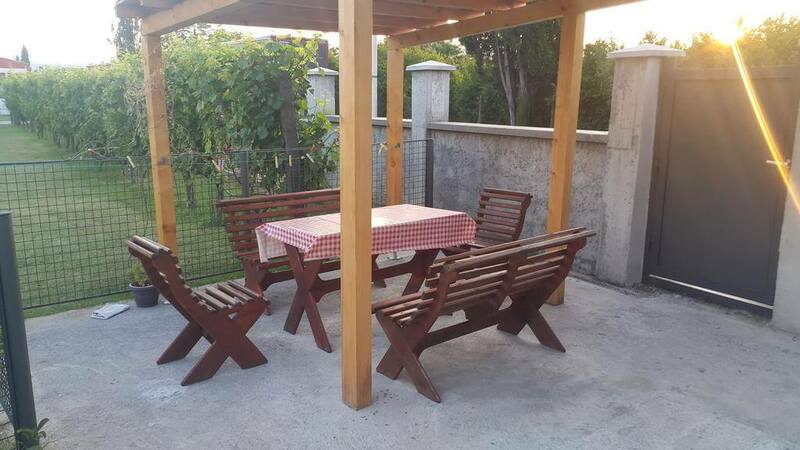 The location of the hostel is the great - it’s just 200m from Podgorica bus and train stations, and has lots of shops, bakeries and restaurants nearby. 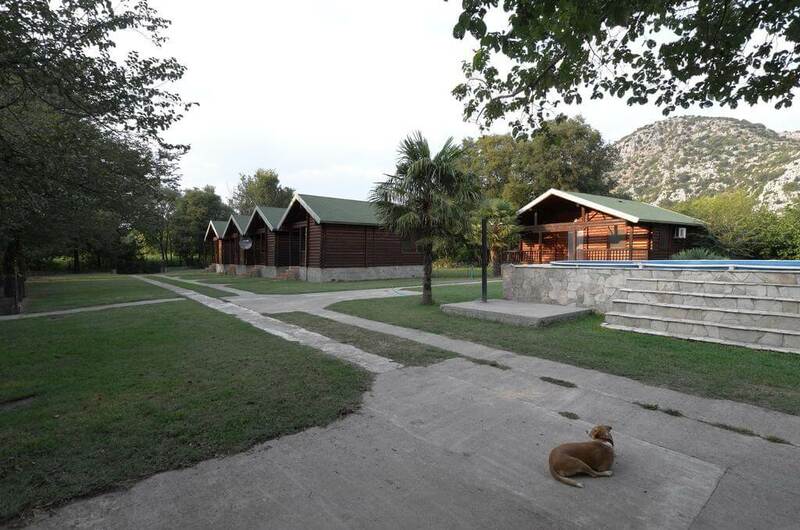 All in all, it has basic accommodation and is convenient for a stopover in Podgorica. 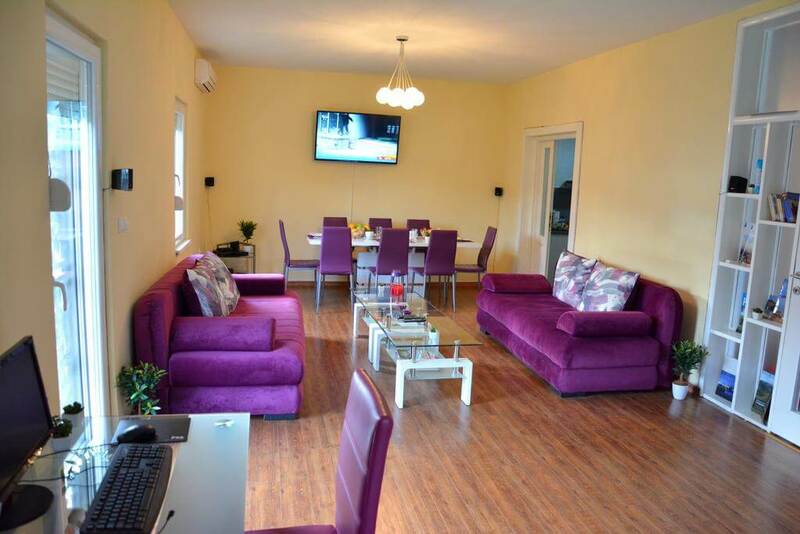 Hostel Aerodrom is a small hostel close to Podgorica Airport. 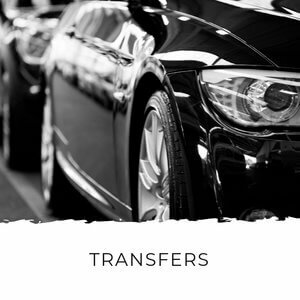 The accommodation is clean and basic and it’s a natural choice if you want to be close to the airport. 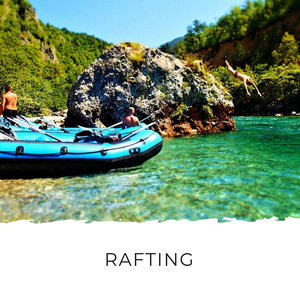 It’s about 9km from town though, so if you want to see some of the sights in Podgorica or want a hostel where you can meet other travellers, you’d do better to choose one like Hostel Q or Montenegro Hostel B&B Podgorica. Hostel Berlin is next to Hostel Old Town, in a convenient location. It’s about the cheapest bed you’ll find anywhere, but there are lots of complaints about the poor and broken facilities, and the general cleanliness. 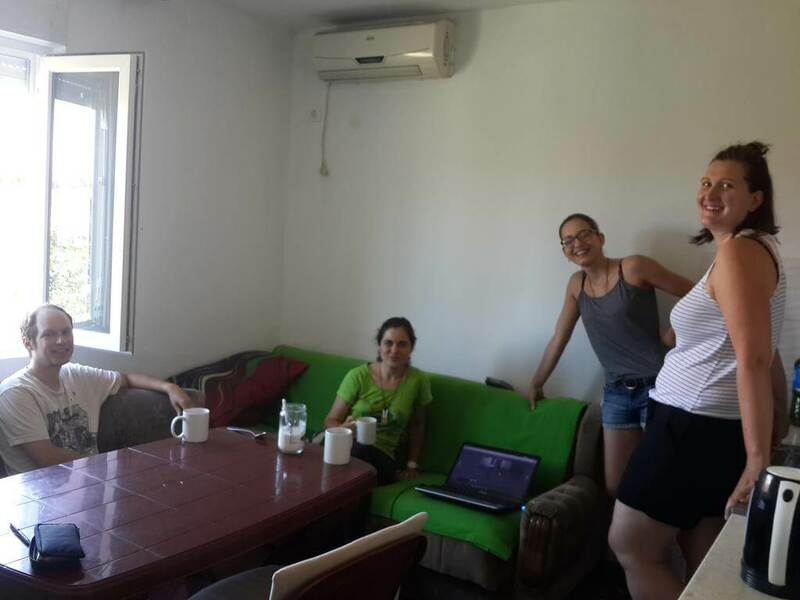 Amor de Dios is another basic and cheap hostel in Podgorica. It’s close to the bus station, but a 15-20 minute walk from town. The main complaints here are about cleanliness, mess and the distance from town. 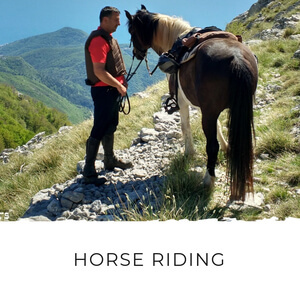 Zabljak is the most popular mountain destination in Montenegro and I highly recommend you make a stop here. 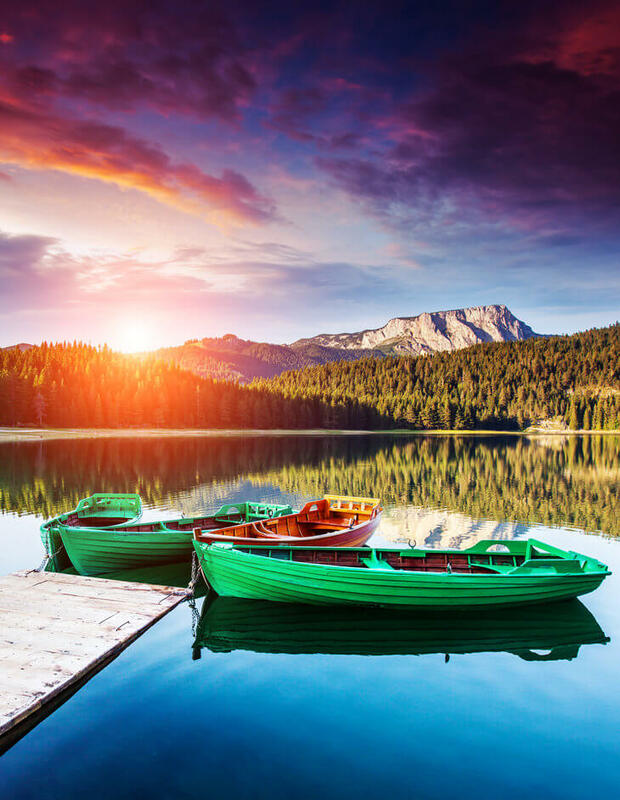 You can hike around Durmitor National Park or just take the easy walk around Black Lake and admire the stunning mountain scenery Montenegro was named for. The town itself is very small and you can get around on foot. 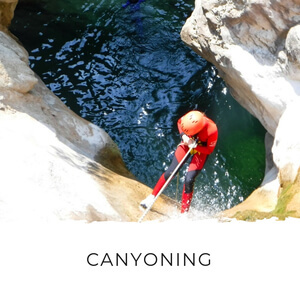 But if you have a car you can drive through the countryside to the Djurdjevica Tara Bridge and zipline across the Tara Canyon, the second deepest canyon in the world (after the Grand Canyon), drive the Durmitor Ring and make the most of this beautiful area. 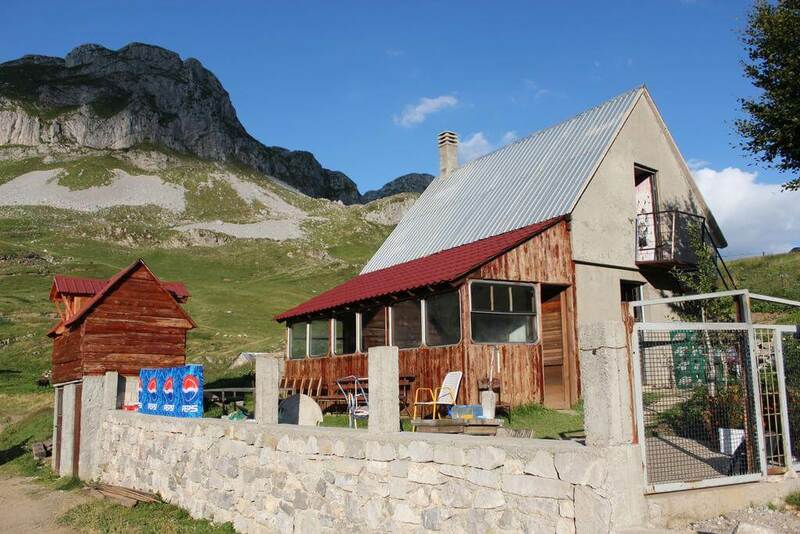 Hikers Den is an impeccable and professionally-run hostel in Zabljak. 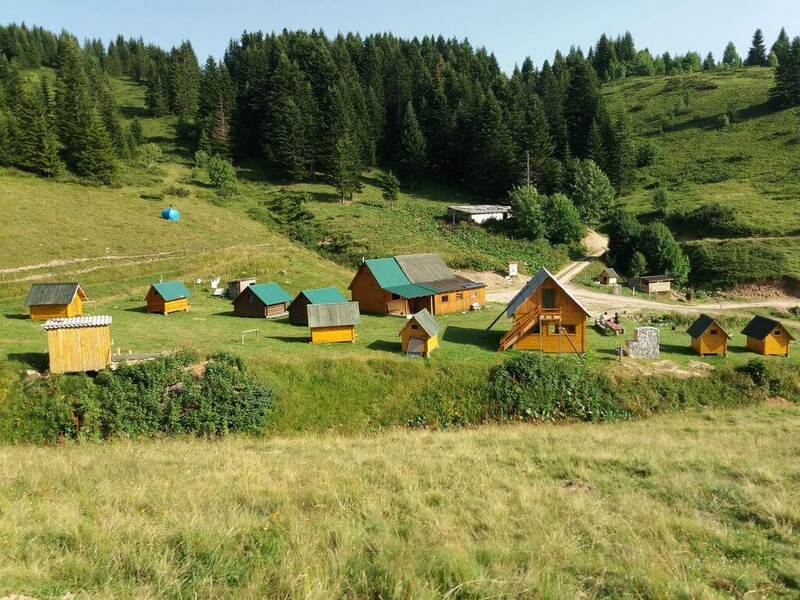 As the name suggests, it’s a haven for hikers wanting to explore Durmitor’s trails. Get local tips, maps, weather reports and meet others who want to do the same trails here. 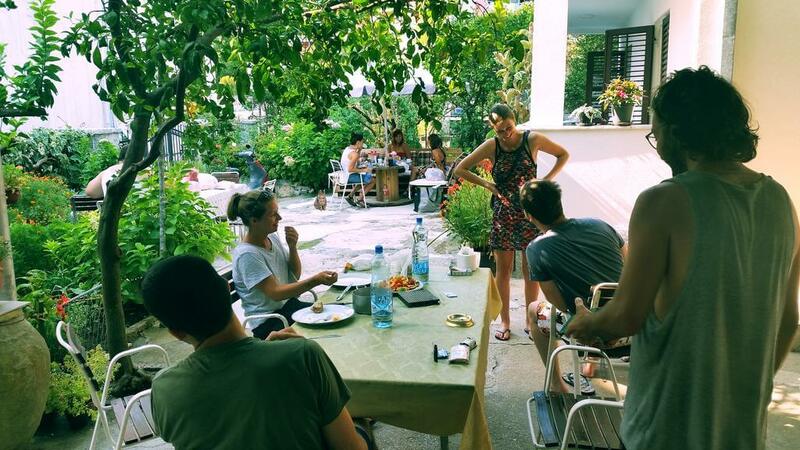 The only downside to this hostel is that, with and everyone wanting to get an early start in the mornings, there’s a wait for the bathrooms, but with the comfort, great social life and excellent hosts, Hostel Hikers Den is a top hostel in Montenegro. 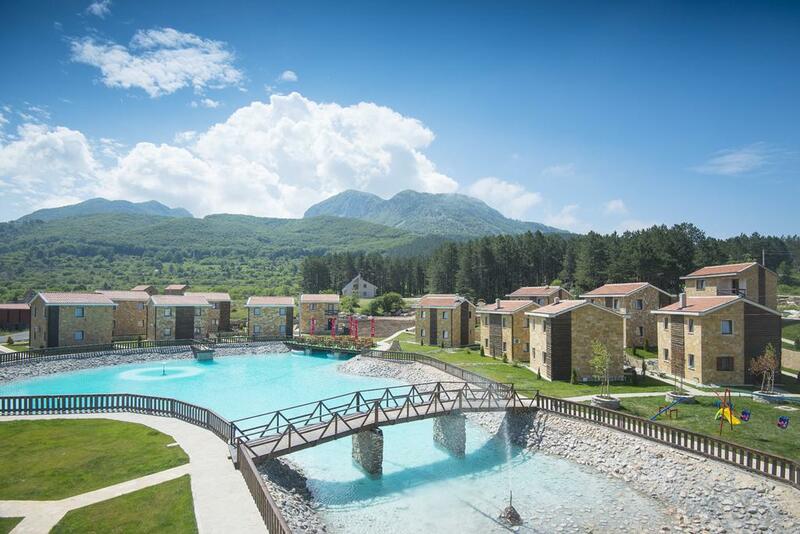 Hostel Highlander is another hostel in Montenegro where you’ll experience legendary Montenegrin hospitality. 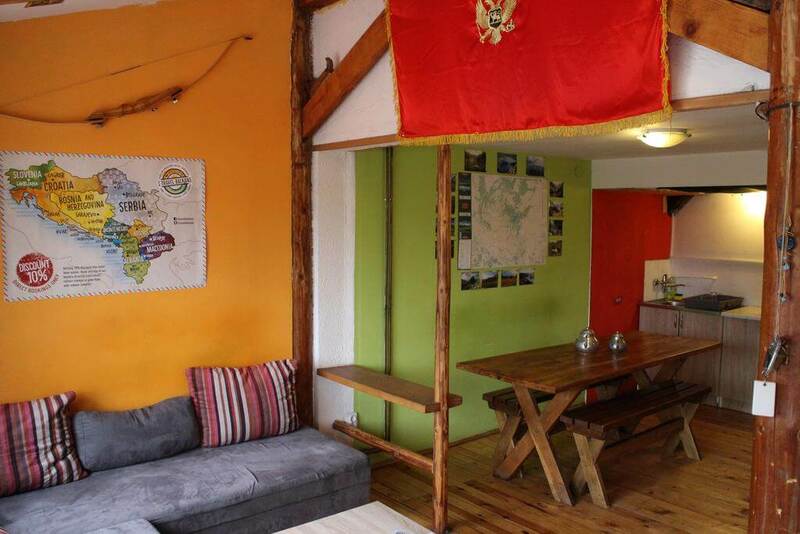 The hostel itself is in traditional mountain style, with lots of wood and a cosy feel. 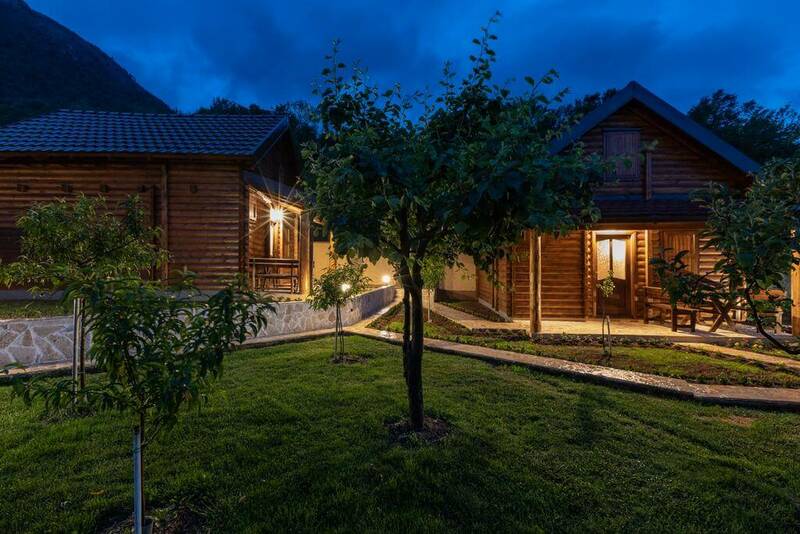 It’s simple, but impeccably clean, is surrounded by forest and has beautiful outdoor spaces with a barbecue for you to enjoy. Hostel Jezero is actually 72km from Zabljak (which, on rural roads, is a two hour drive) on the shore of Kapetanovo Jezero (Captain’s Lake). 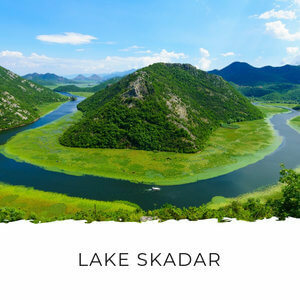 It’s technically part of Kolasin, but it’s a three hour drive from that town, so don’t book it thinking you’ll be close to Kolasin. Because of its isolated location, the hostel isn’t very busy and that’s what people love about it. There’s nothing for miles but mountains, sheep and untouched nature. 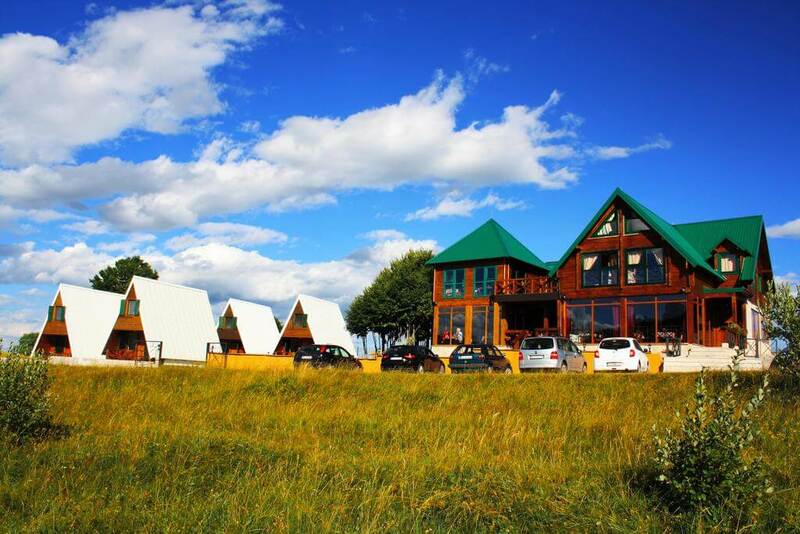 The accommodation is very rustic and basic, and appeals mostly to hikers. Needless to say you won’t find any pub crawls or nightlife around here! 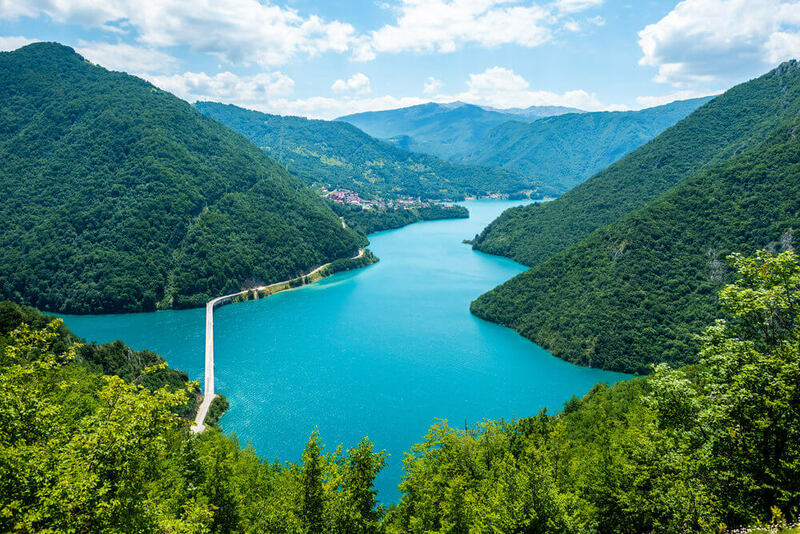 Kolasin is Montenegro’s next most popular mountain destination. 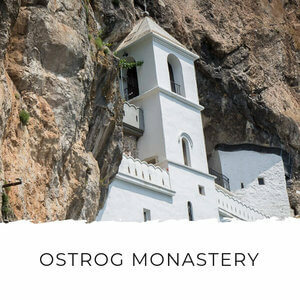 With Biogradska Gora National Park and the Komovi and Bjelasica mountain ranges within striking distance, it’s a great base for exploring Montenegro’s mountains. 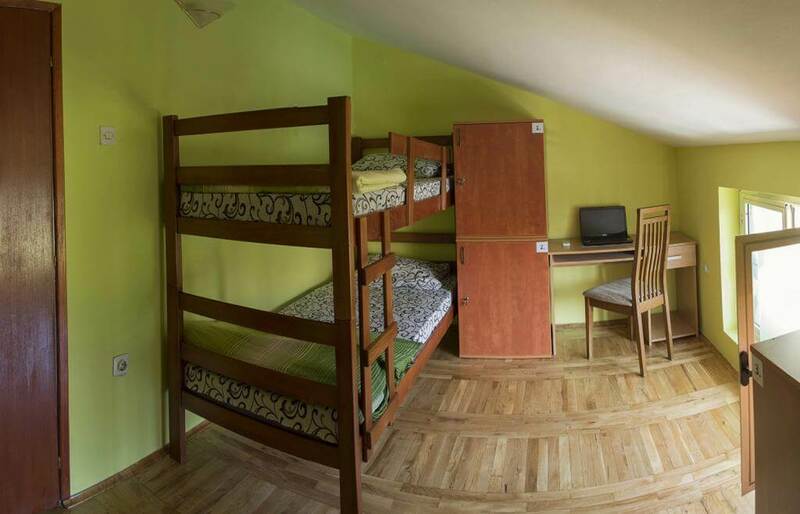 There are no hostels in Kolasin town, but you will find cheap guest houses for the same price as a hostel. 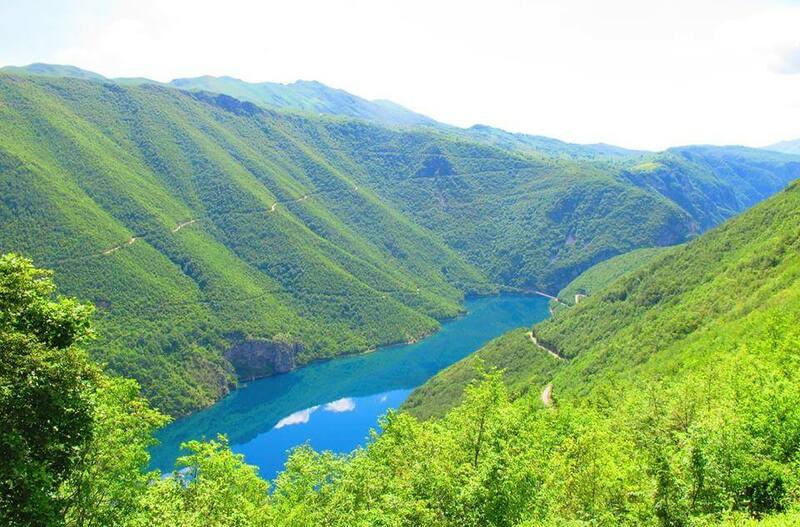 Pluzine is a small, lakeside town on Piva Lake. 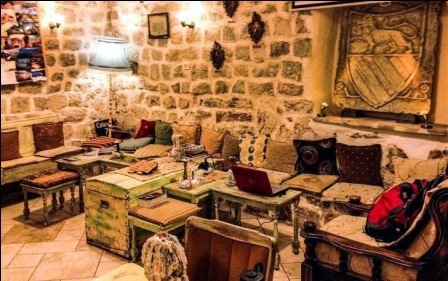 There aren’t any hostels in town, but there are some budget-friendly and cool places to stay, where you’re also likely to meet some like-minded people. 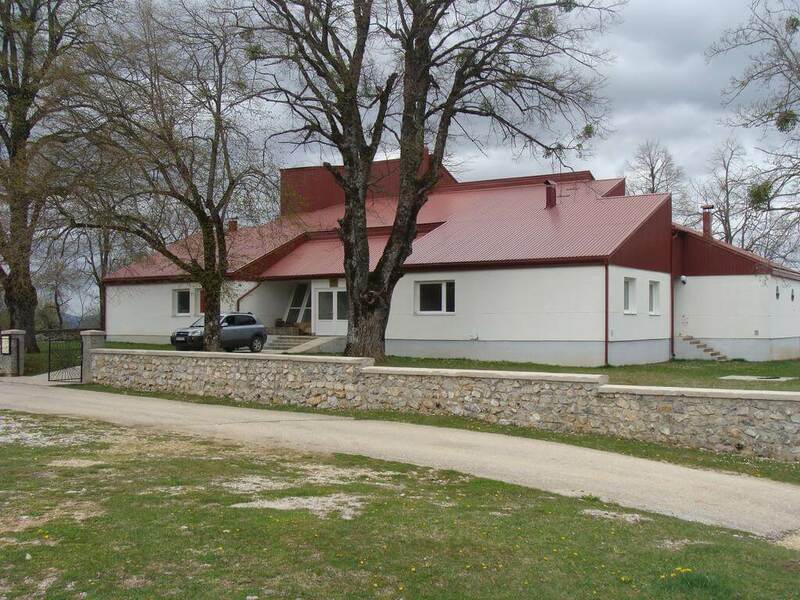 Try Guesthouse Zvono for cool jazz vibes or Guesthoues Vrbnica to enjoy the natural beauty of this area. 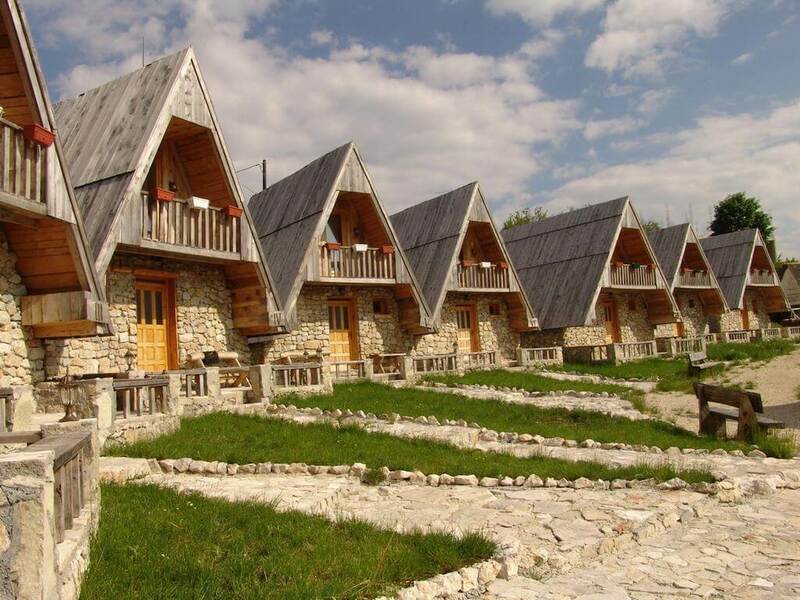 Hostel Park Piva is a large hostel that mostly caters to school and sports groups. There are large dorm rooms and shared bathrooms. The nearest town is Pluzine, which is only 38km away, but the drive takes over an hour. The hostel is very rural with no attractions in the immediate vicinity. Niksic is a very industrial town, around an hour from the capital, Podgorica. 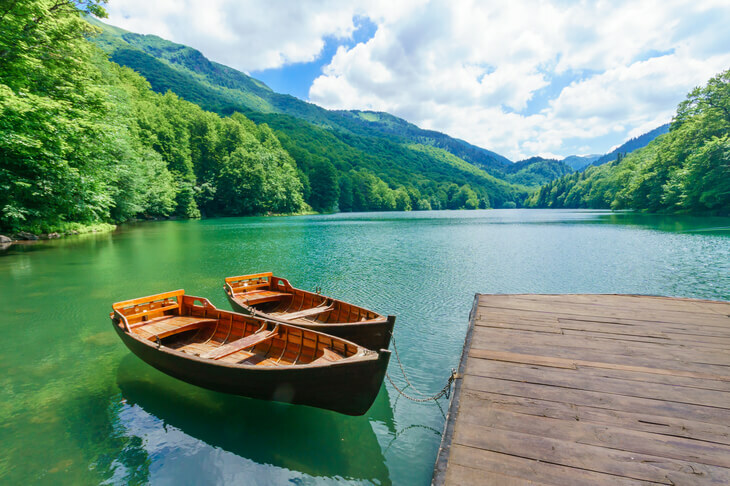 It’s definitely not a tourist destination, but does have a nice park in the centre of town and Lake Krupac is a popular swimming spot just out of town. 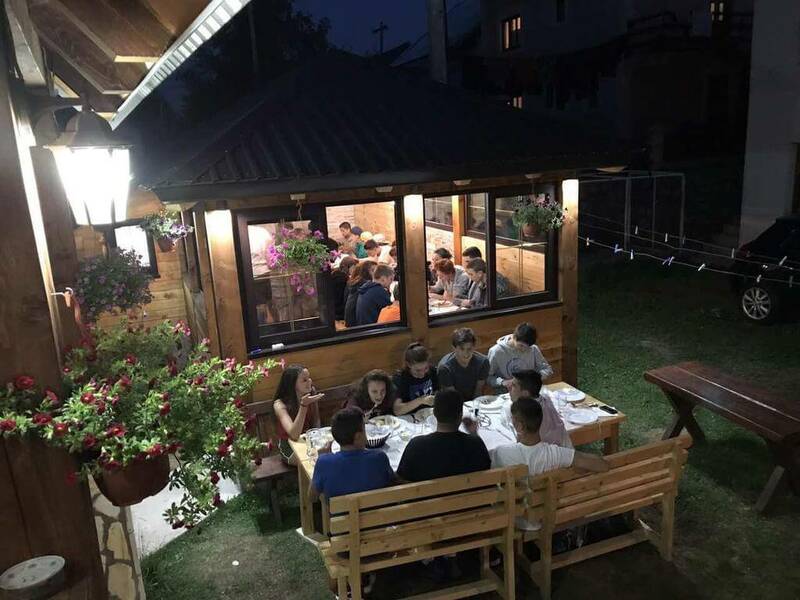 There are no hostels in Niksic, but you will find cheap guest houses for the same price as a bed in a good hostel, provided there are at least two of you to share a room. 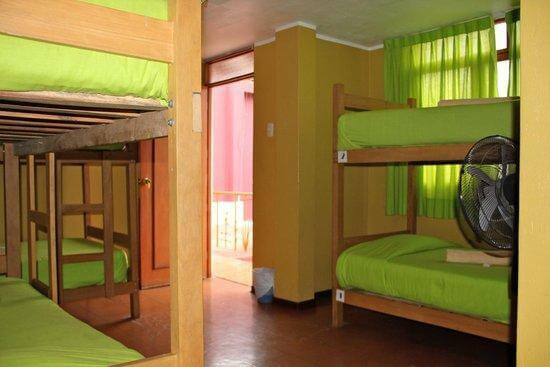 Many people choose hostels because of the price, but aren't as keen on the hostel atmosphere. Hostels are noisy, sometimes dirty and don't offer much privacy or security. 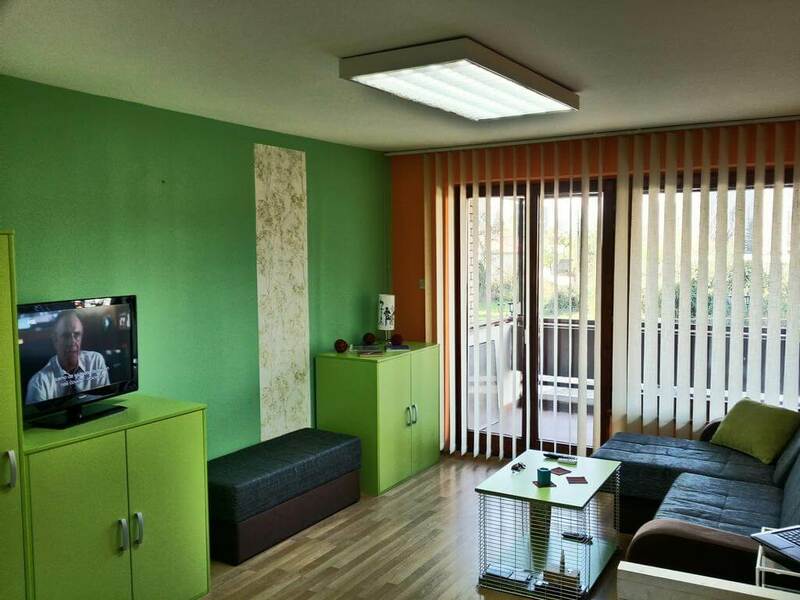 You'll find lots of private rooms for rent here, and they make a good alternative to hostels in Montenegro. You'll have your own room, often in someone's house. You might have a private bathroom and kitchenette, or share both with your host. Go to booking.com and enter the dates you need accommodation. Use the filter options on the left to choose 'Guest houses'. Then use the filter at the top of the results page to sort them by price, lowest first. A quick search has given me a twin room with a shared bathroom for just €8 and, incredibly, a studio that sleeps five for just €10! Booking.com has new deals every day. Properties with empty rooms want to fill them and will offer them at a special price. 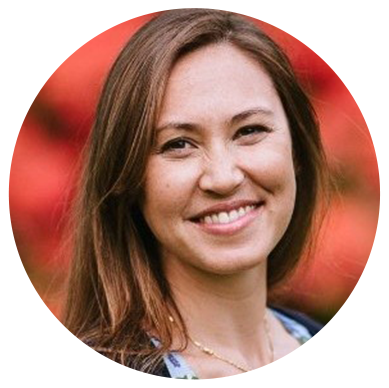 These are usually last minute bookings, so they'll suit you if you're on a flexible schedule.